They’re back! 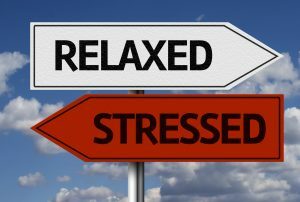 The holidays are approaching and with them comes a common dilemma that presents itself when we take times to restore ourselves in stressful times. This is some variation on the theme that in times such as this upcoming holiday season there seems to be less time and energy to do what we need to do to be at our best just at the time it is needed most. The swirl of holiday activities, social obligations, personal pressures and commitments can throw us off our game at just the time when we are trying to summon the energy to create or participate in the family and personal traditions that can make this time meaningful and truly joyous. It is hard to be grateful, peaceful, calm or experience the potential joys of being with family and fiends when burdened by the accumulated effects of stress on body and mind. Effective self care practices can open the valve within to drain these stresses as they accrue.To find your way to create or sustain your Yoga, meditation or other growth practices can help overcome this dilemma. With each visit to the Yoga mat or meditation cushion, or each moment when a conscious connection to the breath is re-established; a growing sense of being present and centered may be more deeply ingrained, even within the fabric of our busy lives. When stresses and struggles diminish through healthful practices, so many find the time and effort taken for ourselves is rewarded beyond measure. Even during stressful times when putting on the brakes and taking time to slow down is most challenging, each Yoga and meditation session or other times spend in responsible self-care practice may serve as a step toward of balance and wellness. Over time the rewards of overcoming the obstacles to honoring our wellness needs becomes clearer. We can be our best for ourselves and those we love in challenging times when we are counted on the most.